I have been thinking this for the longest time now. I thought about it before my laptop came tumbling down a few days ago. I thought about it when I purchased an Orange modem. I thought it over when I took my laptop for repair and it cost me a fortune. And I thought about it yesterday when my exasperated mother said those three words to me. Thing is, a month ago, I purchased an Orange modem. Why did I finally do it? There was a free unlimited Internet offer. I was so excited about it. I was finally breaking the Safaricom shackles! Yayy for Shiku! The first warning bell rang in my head when the Orange Shop attendant asked me whether I lived in a place surrounded by flats. At that point, all I could hear in my head was, Shiku, RUN! Clearly she is asking you that because their network is pathetic. But the little adventurous bit of me told the rational me to calm down and buy the modem. You are going to get free Internet Shiku! Think of all those downloads. No more loading loads of tabs and disconnecting the Internet until you need to load more. So, despite the warning bells, I bought the thing. All the way home I was praying that I would not regret it. And I didn’t for the first couple of days. Of course that is after I discovered that the only way I could get the Internet (which, by the way, is way faster than Safaricom’s) was perched near a window or outside. I spent the next week literally outside, enjoying the fast speeds I was not accustomed to and downloading anything I could think of. And boy, didn’t I download! It was all fun until the day I decided to charge my computer while still perched up the window a few nights ago. This was during a little argument I was having with my little sister. To cut the long story short, baby sister walked across the long cord, dragging it with her. Next thing I knew, my heart was in my mouth, my laptop in my hands, very close to the floor and I knew my happy days were over. The next picture in my head was the Mac MagSafe power adapter which I hear is magnetic and detaches itself if something like this happens. And you wonder why they are expensive. Yes, the charging pin broke. Yes, the charger broke too. And yes, it cost me a fortune. In essence, I paid every single coin for all that Internet that I was perched up on windows for. Right now, I am not even sure where that Orange modem is. I sort of blame it for everything. Silly, right? You know how we always want to blame someone or something. But truth be told, it was all me. Cheap is awesome, but only for a while. I am not saying Orange Internet is not awesome. All I’m saying is don’t bother if you are not in Nairobi or some other major town. So I’m back to the better option. Maybe cheap is not always expensive. After all, it’s not entirely expensive as expensive is. Whatever the case, the beauty of it is that I learnt my lesson. I totally agree with you about Orange…and cheap stuff. I bought one of those phones on offer. Well, I would get free internet for a month (expiring in six days). Problem is that the phone is locked and can only accept Orange simcards. I thought I would unlock it anyway but until today, I’m unable to get the unlock code. And I have no phone that’s unlocked yet. The network is poor. Only one side of the bed, one corner of a bedroom and one couch are ‘hotspots’ in the house. Still trying to save for at least a mulika mwizi. I thought maybe because I live 20km away from the capital, I’d cut Orange some slack. That ‘hotspot’ issue, wacha tu. I had to use the modem near open doors or windows in weird positions at times. I read an article about Orange being ‘trailblazers’ in data services and I was like, ‘What??? ?’ All the best with the phone. Hahahahahahahahahahahahah! *Insert maniacal laugh here* Back to the devil you know huh? 2008 is a long time ago. I am sure Safaricom’s services today are not comparable to back then. Plus it is reliable. I have never had to look for ‘hotspots’. 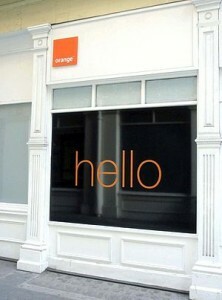 Orange is fast, I pointed that out, but it is not reliable neither is it extensive in coverage. And I am talking about Orange Internet Everywhere 3G+, the 21.1mbps modem. Thanks. haha! I will stick to my reliable better option (Safaricom)until further notice.